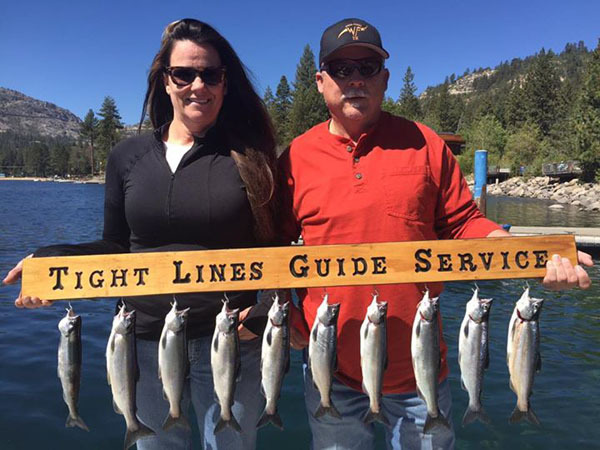 Donner Lake still kicking out limits of Kokanee. Today started off great, 6 fish before daylight, then the bite turned off for 1.5 hrs before things got crazy. Twice we had zero rods in the water. Couldn't bait em up quick enough before another hook up. 3 doubles and lots of tangles but had an enjoyable day keeping 3 limits outta about 25-30 Kokanee. 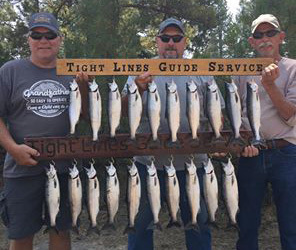 If you would like to go fishing with Tight Lines Guide Service please give them a call at (888) 975-0990. Be sure to tell him the NCFR sent you. 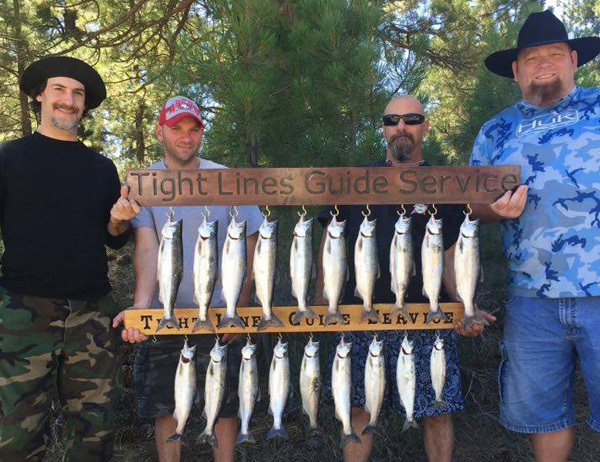 If you would like more information please check out the Tight Lines Fishing Guide Service Website.